Piccadilly Circus is the best known area of ​​London for tourists and is located right in the center, in the West End area. It can be said that, next to Big Ben and the London Eye , it is one of the most visited areas by tourists who come to the city. It represents an intersection of several important commercial streets such as Regent Street and Picaddilly and, in fact, the integration of the word circus in its name means that same: circular space in a cross street. Piccadilly Circus has become a tourist icon thanks to its large neon advertising screens that integrate videos and that are kept on one of the buildings in the northern part. Going to London and not taking a picture in front of these screens does not make sense for many and that is why you will see many people taking pictures in this area as if their lives were in it. This is especially fun for Londoners themselves who do not understand the importance of a building with so much publicity. 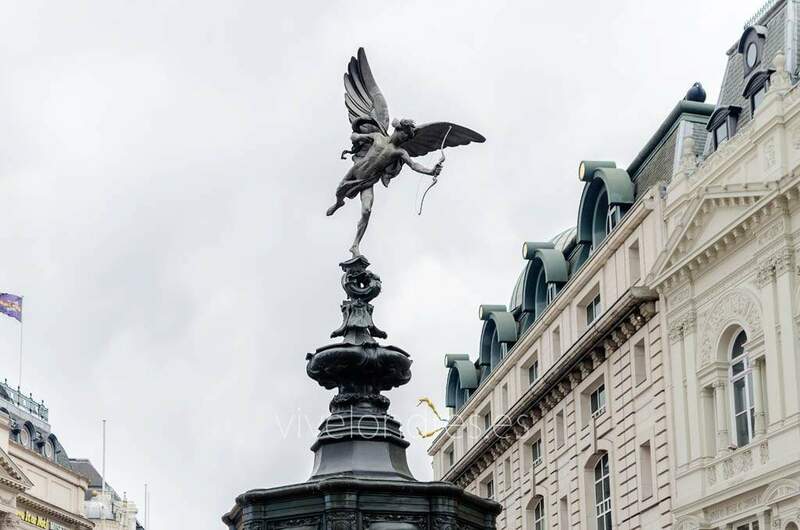 Leaving aside the commercial point of the area and the famous public panels, in Piccadilly Circus is the fountain that commemorates Anthony Ashley Cooper (VII Earl of Shaftesbury), best-known politician of the Victorian era in London. In addition, the statue of Eros also receives a ton of daily pictures but you should know that his real name is Anteros , son of Ares and Aphrodite in Greek mythology, and represents the corresponded love personified. 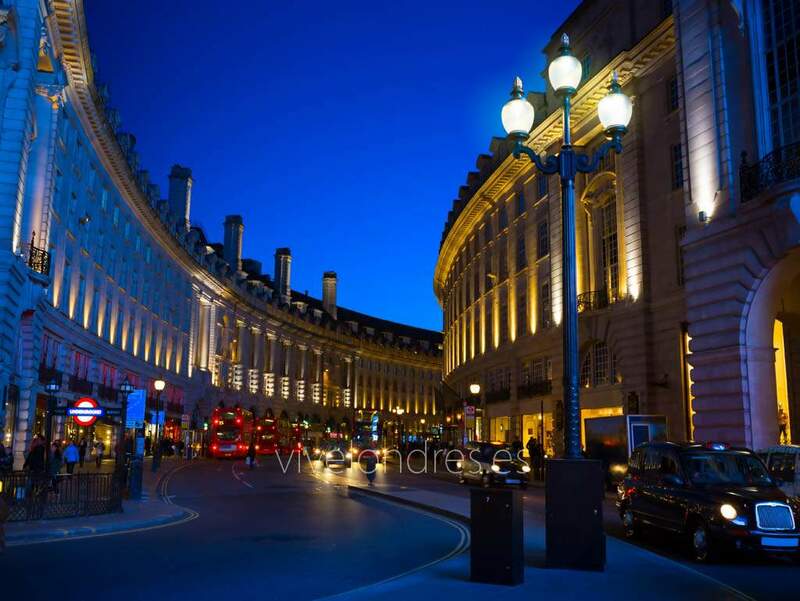 On the other hand, stand out the popular buildings located in the area such as the London Pavilion , an old theater converted into a very popular shopping center that is called the London Trocadero and which is located right in the northeast area of ​​Picadilly Circus. You will also find the theater area (Haymarket) where the Her Majesty's Theater and the Royal Theater ( Royal Theater ) are located. 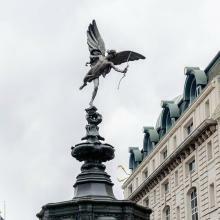 Piccadilly Circus is an area used as a meeting point thanks to the leisure offer of its surroundings and, specifically on weekends, young people use it to meet at a certain time and from there diversify to restaurants, cinemas and theaters of the zone. As a curiosity, add that it is very common to use the phrase It's like Piccadilly Circus (It's like Piccadilly Circus) to refer to an area or place where there are a lot of people, in fact, Londoners joke about this topic and They say that if you spend enough time in Piccadilly Circus you will end up finding people you know. 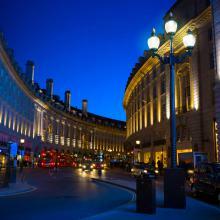 In short, Piccadilly Circus is an area that you can not miss during your visit to London. In addition, you can take advantage of your shopping or the option to go shopping because you are in one of the best areas full of interesting things. And of course eating in one of the Regent Street restaurants or other stylish restaurants in the Soho neighborhood. Good shopping and good photographs, what more could you ask for? Station Metro : Piccadilly Circus comes to taking the Piccadilly and Bakerloo lines.